Bangkok Farmers Market is a series of initiatives take place throughout Bangkok to support communities around Thailand. The Market has been established to enable farmers to display their products and increase the farmers’ income. With a rising income, the farmer can support the community better and increases his family’s quality of life. 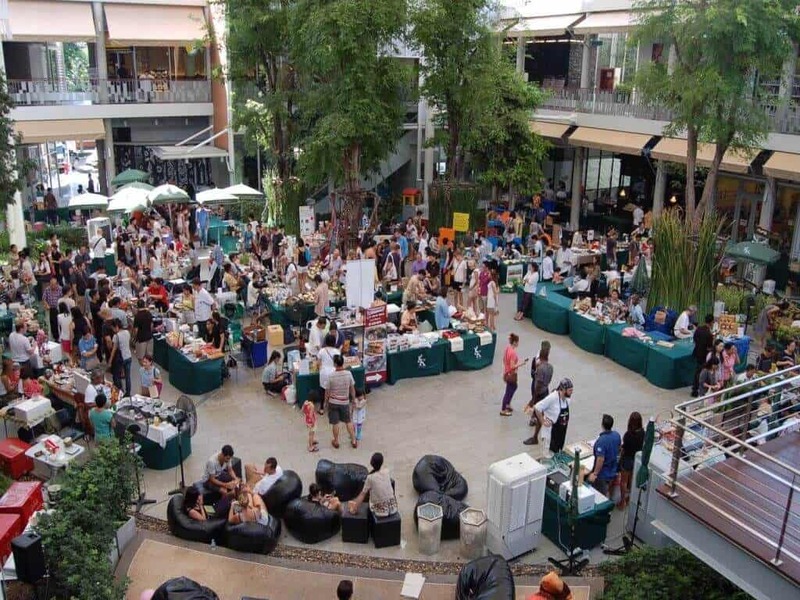 The primary objective of the Bangkok Farmers market is to connect organic producers with consumers who are interested in buying products from them. The Farmers produce all the products on sale organically. A series of events take place throughout the year. The Farmers Market is a vibrant community that focuses on organic and healthy living. Bangkok Farmers Market supports and gives back to communities whether it is through education, charity or community programs. They aim to bring people together and build a strong foundation for less fortunate groups. Visit these markets and buying products is not only a great thing to do, but it also supports these families. Bangkok Farmers Market plans to work towards future sustainability for generations to come through the appreciation of Planet Earth. Support the Farmers Market brings positive growth for communities and supports the quality of life quality for the community as a whole. Buy at the Bangkok Farmers Market. You will support these communities. The Farmers Market takes place at different locations around Bangkok. We have highlighted here the Bangkok Gateway location as this one takes place regularly. Other locations are at Habito and sometimes at La Salle Avenue and other locations where you can visit the market.